TFHM Production and Clove Entertainment are proud to present a special showcase for local band Jinbara and Friends. Jinbara debuted in 2000, releasing their first album under the title Pui-Aiya-Hoi. This was followed by two more albums in 2003 and 2005. Their big break came in 2007, when they released the album Patah Pusing, which was distributed by Warner Music Malaysia. 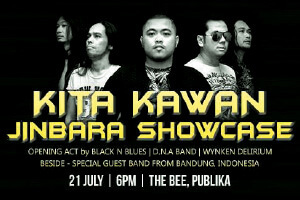 For their performance at The Bee, Publika, Kuala Lumpur tomorrow, they will be joined by opening acts Black N Blues, Beside, Wynken Delirium and DNA Band. 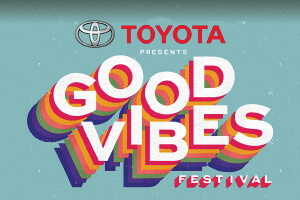 The highly anticipated Good Vibes Festival, presented by Toyota, returns at long last to the rolling greenery of The Ranch at Genting Highlands. Championing international chart-toppers, this year’s line-up includes New Zealand artist Lorde (Royals, Green Light), English alt-prog trio alt-J (Breezeblocks) and American act The Neighbourhood (Sweater Weather, Scary Love). On the local front, acts include Kyoto Protocol, Pastel Lite, Lunadira and more. The festival is on at The Ranch tomorrow and Sunday. For more information, log on to www.goodvibesfestival.com. Irma Seleman’s ability to put her Malaysian root sound into the music of soul and R&B has earned her the title of the “funky songbird from the East”. She puts together grooves, melodies and harmonies that reflect her journey in life, and makes it her own distinct sound. She has also made a name for herself internationally, through her tours for her debut album My World in the United States, Europe and Southeast Asia. Catch her performance at No Black Tie, Kuala Lumpur, tonight and tomorrow from 10pm. For reservations, log on to www.noblacktie.com.my. 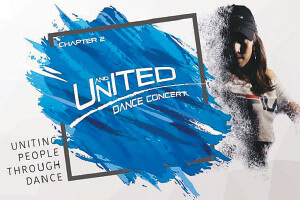 Mustang Dance Academy welcomes the second year of its United Dance Concert event, while bringing this live dance show to a whole new level. They will be integrating lifestyle and dance to create a story-based live show. Expect powerful, emotional and humorous acts, while even doing a little dancing yourself! The concert takes place on Sunday, from 6pm to 11pm at the Shantanand Auditorium, Brickfields, Kuala Lumpur. To purchase your tickets, call (013) 601 0887. Lim Heng Swee is a Kuala Lumpur-based illustrator who lives a simple life, by illustrating drawings to spread happiness to the world. The title of his latest exhibition at Iron River Studio+Coffee is titled Overthink, because the artist believes that overthinking is the “art” of creating problems that do not exist. 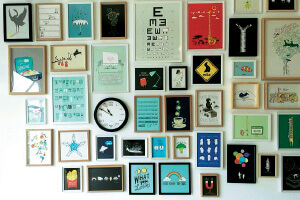 It summarises Lim’s works in the past few years, by creating problems that do not exist and turning them into beautiful illustrations with his optimistic touch. This exhibition will feature a number of Lim’s works in his 10 plus year career. 11 visual artists, five musicians and three lens operators will be joining forces this weekend to put on a tour de force of creativity. Ahead of their upcoming exhibition at Raw Art Space, the musicians will be improvising a symphony live, while the visual artists give life to the music through their paintings. This is made more interesting by the fact that neither the musicians nor the visual artists know what will come out of their creative flow. 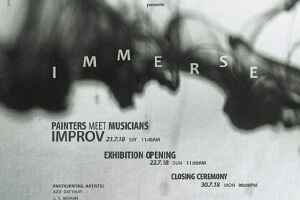 Catch this immersion of music and art occurring live tomorrow, 11am at Raw Art Space, followed by an opening ceremony of the art exhibition on Sunday. 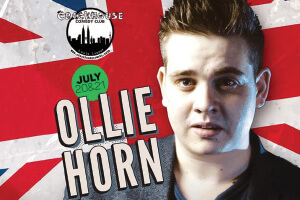 Originally from the UK, Ollie Horn garnered critical acclaim in the Asian comedy scene over the years, through his quirky storytelling, witty observations and good old British intellectual arrogance. His portfolio includes being the founder of Japan’s first bilingual comedy troupe, as well as performing at the Melbourne International Comedy Festival and the Edinburgh Fringe Festival. He will be performing at the Crackhouse Comedy Club today from 9pm. Get your tickets now at www.peatix.com. Collective presents this live stage production for the young and old. 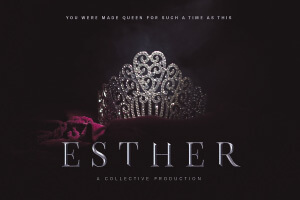 Esther depicts the tale of an orphan girl who struggles to accept her destiny when her people are condemned and sentenced to death. Which will she choose — the deaths of her people, or treason against the crown? Showtime for this play is set at 3.30pm tomorrow, at Collective, Subang Jaya. https://www.collective.my. Substance brings another exciting artist to Kuala Lumpur, this time featuring Whitesquare. 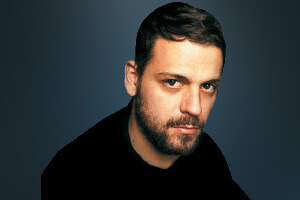 Hailing from Rome, Italy, Whitesquare has been performing as a DJ since 2012. His recent release at Freerange Records have been performed by renowned DJs such as Ame, Dixon and Keinemusik crew. He will be performing at Elysium Bar+Terrace today from 11pm. Romanian DJ and producer BOg will be performing at Jiro KL - Bar & Lounge today, performing some of his best hits which have been performed regularly at the forefront of the underground music scene. 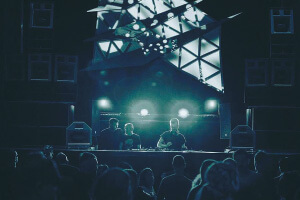 With an increasing and loyal fanbase, BOg is well versed in the arts of entertaining dance music fans, by creating special dance-floor moments with his unique musical vision. For more information, kindly call (011) 39169629.